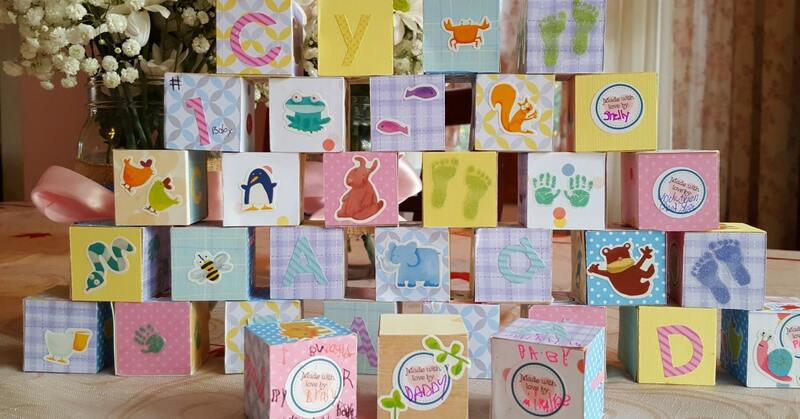 This wooden building blocks baby shower craft is the perfect way to entertain your guests while they create a special keepsake for baby! 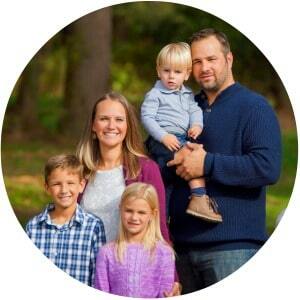 I remember when I was pregnant with my first child, my son, how slow the time seemed to go. 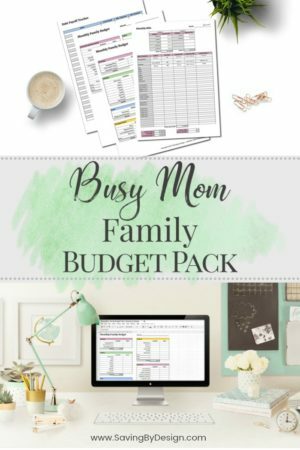 I was still working outside the home and I just couldn’t wait to become a Mommy and hold that precious little baby I was carrying. With our second child, my daughter, I was just as excited, but working from home and taking care of our then 2-year-old son definitely made the time go by faster. The pregnancy for my third kiddo absolutely flew by having a now 5 and 7-year-old home with me. 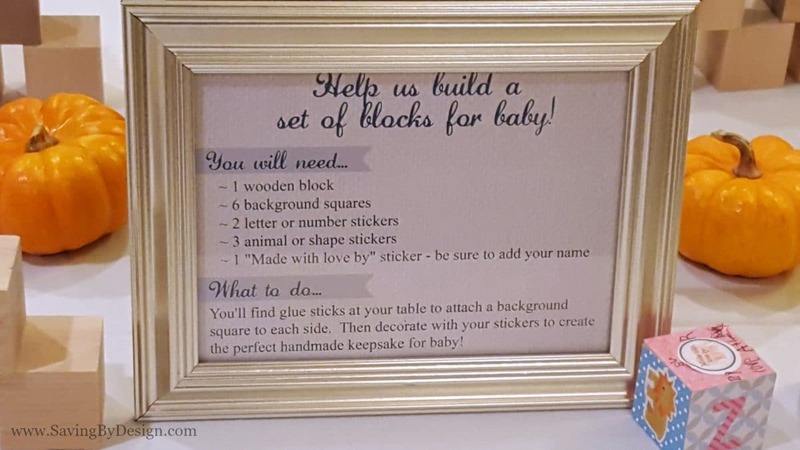 It went by so fast and continues to fly by so fast that I am just now getting this wooden building blocks baby shower craft posted when my new little guy is already 4 months old! 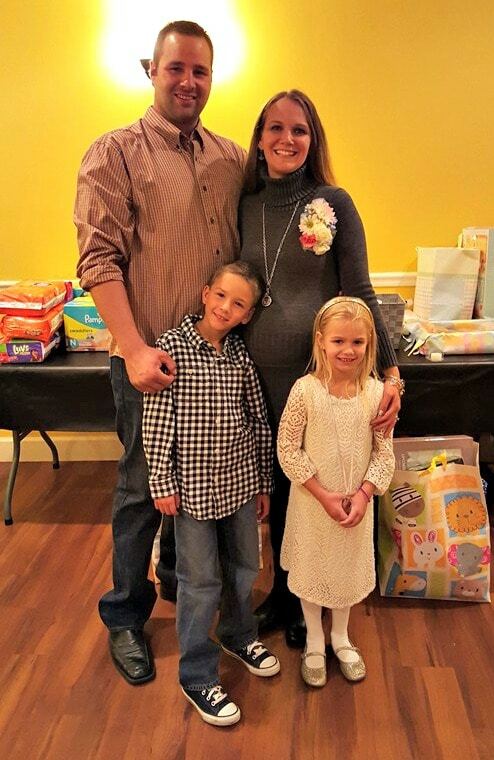 My mother and mother-in-law hosted an amazing shower for me…much more than I feel I deserved, this being my third kiddo and all. But they insisted and said it’s been 5 years and it was time for some new baby goodies. After looking through the baby gear I stashed away from the first two I realized they were right. Some was outdated and no longer up to safety standards, some was missing parts, and other things were just plain used and abused after two kids. Instead of getting things complicated with glue and paint, I wanted to this to be an easy, mess-free craft. Using scrapbook paper, stickers, and glue sticks I was able to accomplish just that! You’ll basically want to create grab and go stations for your guests where they collect the goodies they need and take them back to their seats to make their blocks. This way there aren’t people jammed around one table. They’ll each have their own work space to create a block at their pace. To do that just cut your scrapbook paper into 1.5″ squares, cut your sticker sheets into individual letters, numbers, animals, etc., and cut apart the round labels after printing them. I separated everything into their own sandwich bags to keep them organized until the shower. If you did all the prep work ahead of time, there really isn’t much to do at the shower. Using one of the tables at the venue, I set up a few “stations” for guests to collect what they would need to make their block. 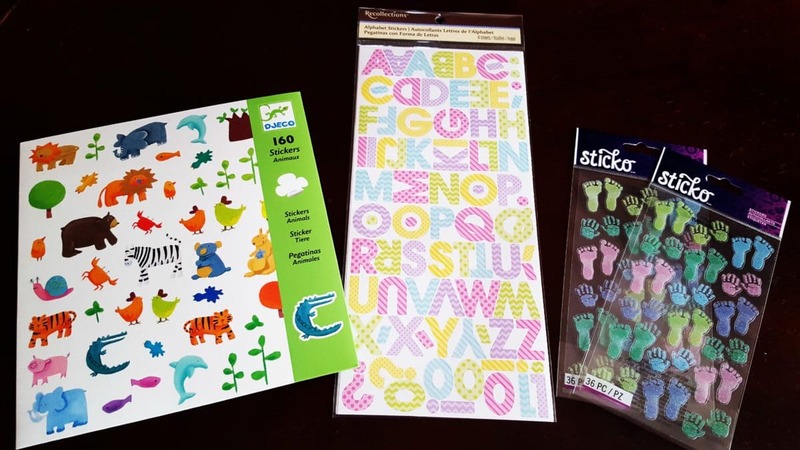 To keep things easy (and inexpensive) I used cupcake liners to separate my different patterns of background squares (your cut scrapbook paper), letters & numbers, animal stickers, and round labels. At each station was a framed sign telling them just what they needed to do. 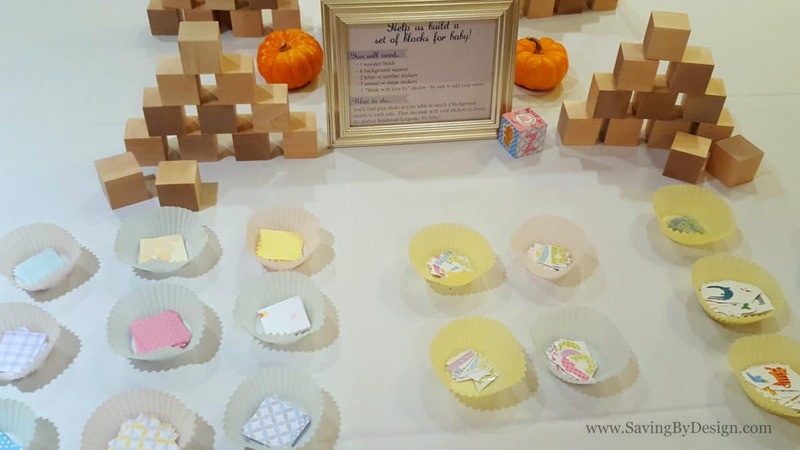 Pens and a few glue sticks were at each guest table so they could make the baby blocks during the shower at their leisure. And that’s it! Everyone had a ball creating their blocks and enjoyed doing something a little different than the same old shower games. I can’t wait to share photos of my little guy playing with his blocks as he gets older. How fun for your friends and family to know that they created a special keepsake for baby to enjoy! I believe they should be fine for babies…the blocks I used (the link is above) are made of natural wood and then the rest is just paper and stickers. The Mod Podge used to seal them is also non-toxic. Hello—How many coats of Mod Podge do you need? Thanks!